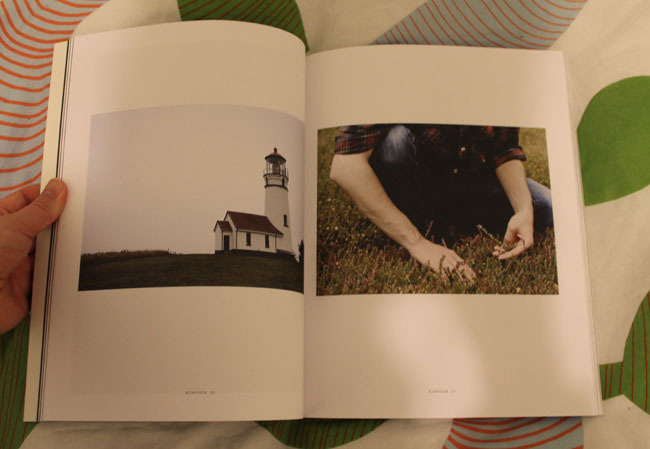 I bought Kinfolk Magazine a few weeks ago with an Amazon voucher I was given as a gift. 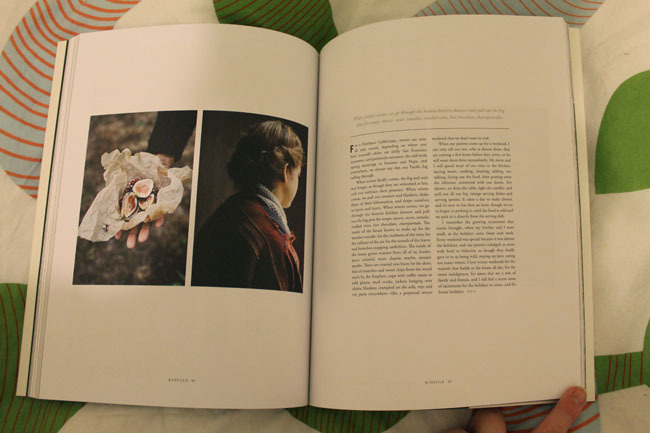 I’d raided my wishlist for DVDs and books but I still had a little left to spend so I looked in my recommendations for some inspiration, and found Kinfolk. Sadly it wasn’t quite despatched in time for me to receive it before the office closed for the Christmas break so it was a real treat when the Postman brought me Volume Six this morning. I hadn’t heard of Kinfolk before Amazon recommended it me and I’m almost surprised because it’s so up my street it might as well have been secretly living next door. 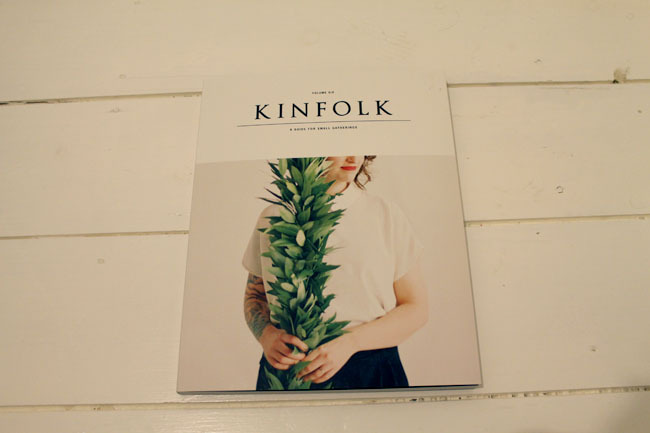 Kinfolk is described as a magazine but it’s almost more of a paperback coffee table type book – 144 pages of breathtaking, rustic photography, homely, heartwarming articles and delicious sounding recipes. 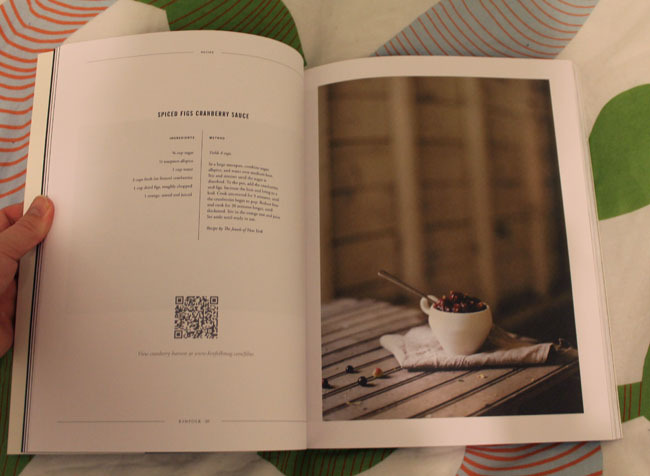 It describes itself as ‘a guide for small gatherings’ or ‘inspiration for sharing food with family and friends’ but it is much more than that, it’s a celebration of the simple things in life – the outdoors, friends, community, traditions, good food. Volume Six, which I bought, features articles on building a fire, evergreen trees, holiday memories and traditions and baking bread, as well as personal essays and interviews. I love the graphics and even the paper its printed on has a wonderful quality and feel. You might remember my blog post on ‘Ideas for boosting creativity‘ and this is certainly a place to find inspiration to write, photograph, cook and enjoy life’s little pleasures. Here are a selection of photographs from volume five, just so you can get a feel for how awe inspiring the photography is. 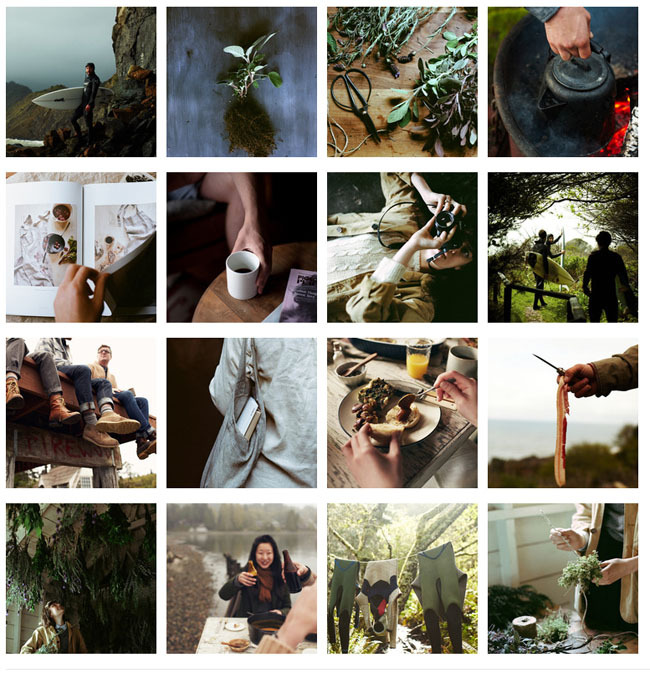 I love the moments they’ve captured; simplicity, pleasure, warmth, nature, the everyday. This is definitely a magazine to be enjoyed with a glass of good wine, an indulgent hot chocolate or a pot of tea; by the fire or under a warm quilt.